We are so honored to have known the Attica High School Class of 2018! They have inspired us in their dedication to make this world a better place one “gesture” at a time. 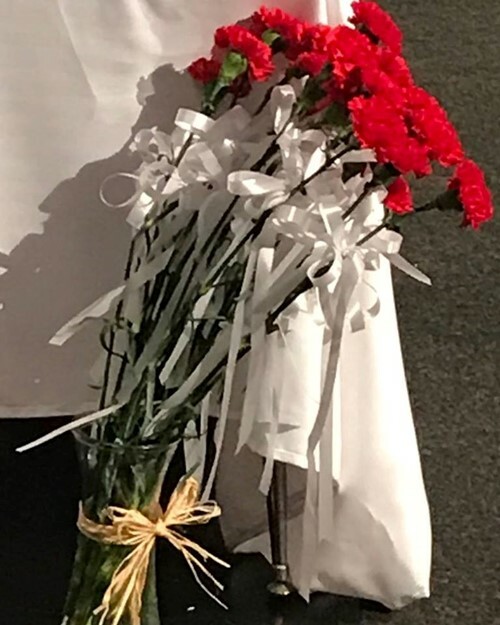 They opted to join forces in a senior gesture rather than a senior prank and hand off one of these red flowers as they accepted their diploma. Watch out world- A CHANGE- there is a comin’ and they are called the Red Ramblers! Best of luck to each and every graduate and remember: 1.Never give up. 2. It is never too late to chase down dreams. 3. Surround yourself with a great team! Click the link below to watch the commencement ceremony for the AHS class of 2018.